Sigma 50mm f1.4 DG HSM Lens - Canon Fit. 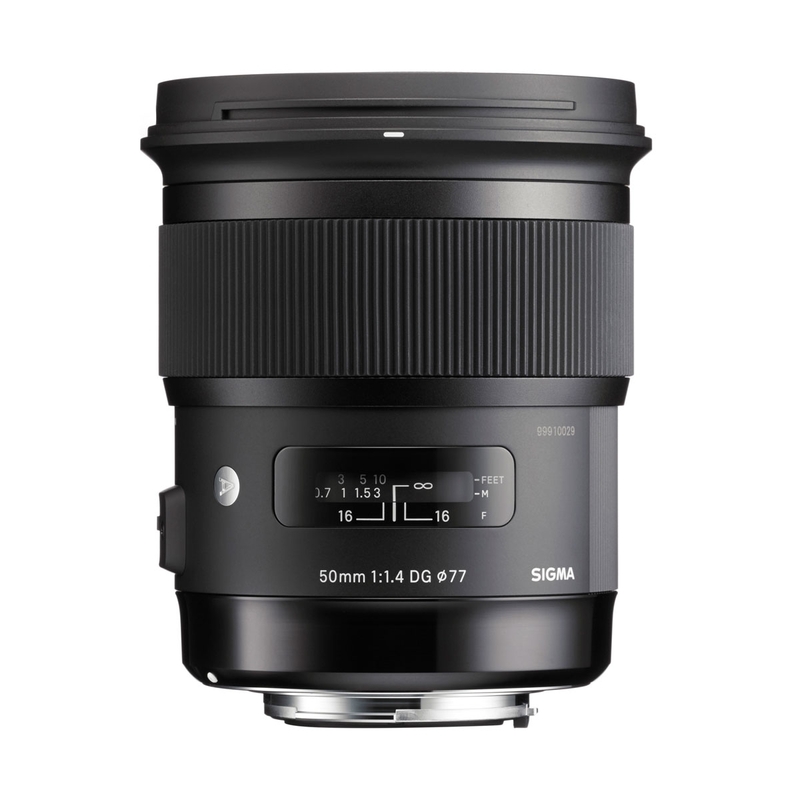 The staple Sigma 50mm 1.4 DG HSM has been redesigned and reengineered to set a new standard for the Art line. With a large 1.4 aperture, the Sigma 50mm 1.4 prime lens is a pro level performer for shooting everything including portrait photography, landscape photography, studio photography and street photography. A Hyper Sonic Motor (HSM) ensures quiet, smooth and accurate autofocusing and paired with Special Low Dispersion (SLD) glass and Super Multi-Layer coating, the 50mm 1.4 is a high performance lens for the modern DSLR sensors. 13 elements in 8 groups allow for unsurpassed performance even at wide apertures and close-up photography is easily managed with a minimum focusing distance of 40cm. 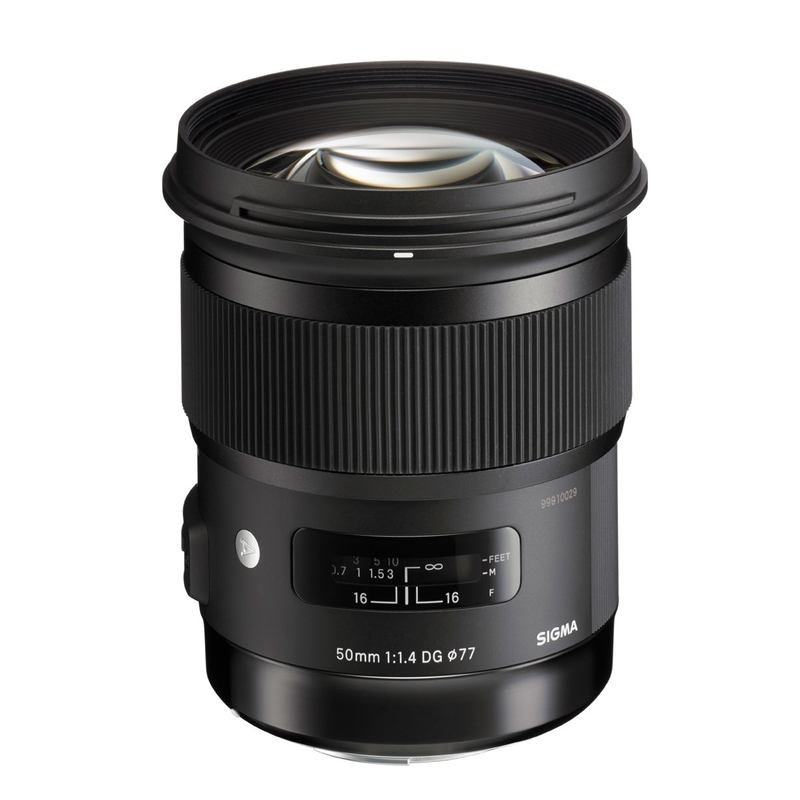 The Sigma 50mm 1.4 lens is the new exceptional standard, standard prime. Sigma has developed special software (SIGMA Optimization Pro) that can update the lens firmware and adjust parameters such as focus and full-time manual focus function. Dimensions Diameter 86mm x 99mm / 3.4in. x 3.9in.